Showings begin 2/1/2019, One owner custom home on 35 stunning wooded acres. Part of US Foresty plan and consistantly mitigated. Located on paved county maintained road. Meticulously maintained hardwood floors flow from the entry into the dining room, kitchen and living room. All new windows on south side of home and a large south facing deck runs from kitchen nook to master bedroom and will support a hot tub, if that is on your bucket list. Great for enjoying the large elk and deer that grace the property. The pole barn includes heat and water and the attached oversized three car garage is heated and would accommodate to large trucks and several motorcycles. 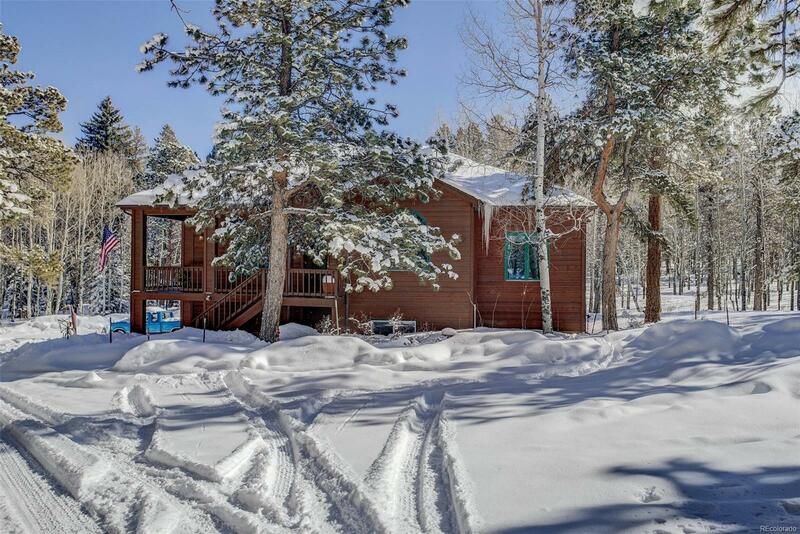 Graced by large aspen trees, and soaring pines this is truly an idyllic setting to call home.